Jack Ruff, his wife Emily and their two children Victor and Molly lived here between 1924 and 1929. 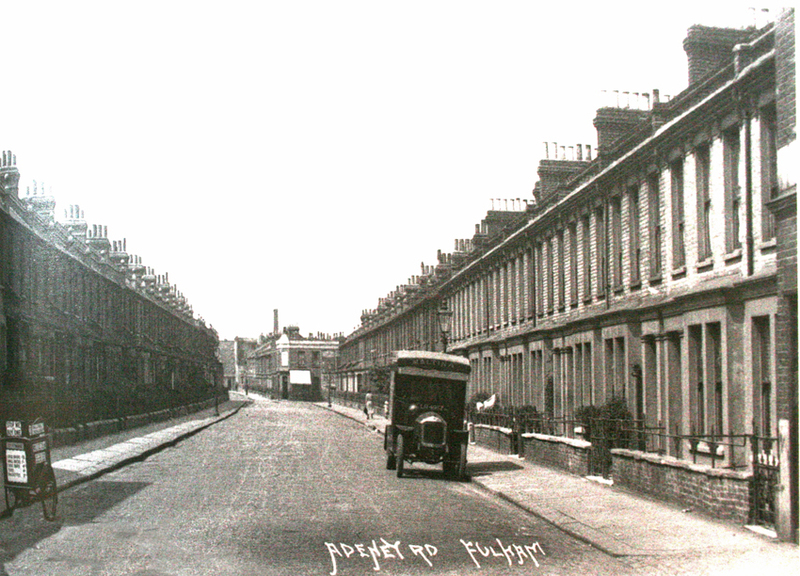 Unfortunately no houses have survived due to redevelopement so a present day comparison is not possible the picture above was taken looking towards the corner shop at number 60 in the early twenties. The Ruff's house at number 81 would have been furthr down the road on the opposite side as shown in this 1950's map.